Boy oh boy… is today an episode you don’t want to miss or what. It’s allllll about B.O.D.Y. I.M.A.G.E. We’re back with episode #027 of The Paleo Women Podcast. Be sure to check back every Tuesday for a new episode, and head over to iTunes or Stitcher to subscribe! 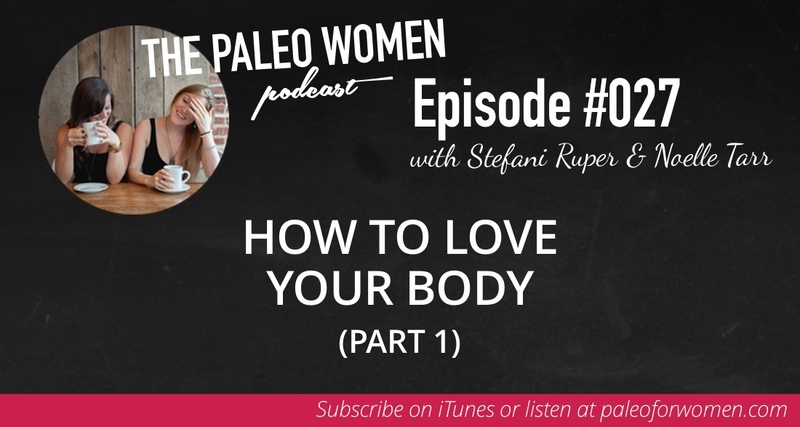 This week, Noelle and I discuss how to love your body. You’ll learn about our experiences, body image truths, and in part 2 – you’ll get some actions steps for how to love your body. 1. You do not have to be a certain weight, shape or size for you to love your body. 2. You are worthy, right now – in this moment, with the body you have. 3. There is no correlation between improvements to outward appearance, and becoming more lovable. 4. Numbers that represent the physical space you occupy ARE JUST NUMBERS. 5. Happiness is not a body shape or weight. Keep it Real Food Company Special Offer! We are SO blessed to have Keep it Real Food Company as an official supporter of the podcast. Our friend Katie Coleman is the woman behind the brand, and we simple adore her and her yummy treats. 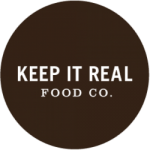 Keep it Real Food Company creates low glycemic, grain-free snacks made from all natural ingredients for diabetes friendly, gluten-free, and paleo diets. Katie has upped the ante, and is offering The Paleo Women Podcast community FOUR free Seed & Nut Bars with ANY purchase! You must make the purchase on a Tuesday, and use code “slothtuesday” at checkout! Is it super creepers that I want to just hug you guys right now? This is exactly what I needed today. Thank you! PS You need to plan a coffee date meet up type situation where we can all hang out and be awesome together. Kind of like a Paleo For Women weekend getaway or something! How ridiculous would that be!? Nope, not at all, I’m all about the hugs. That WOULD be so aweesome, the problem however is that we’d have to PICK A PLACE, which would require people spending a lot of money to get there, which I don’t like, and then I would have to organize things like EVENTS which is like ugh.